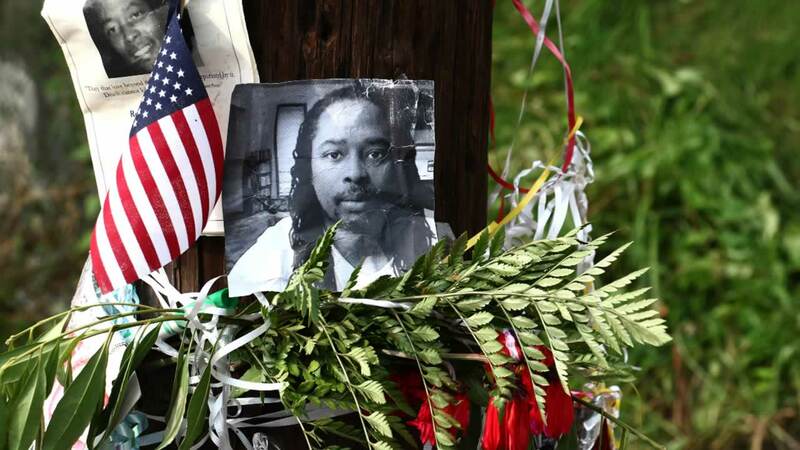 CINCINNATI -- A rally was held Friday in Cincinnati following the traffic stop shooting of Samuel DuBose by a police officer. The night began with a candlelight vigil organized by DuBose's family and overall, the protests were peaceful. Police have released body camera footage showing the moment a Cincinnati police officer shot a motorist during a traffic stop over a missing front license plate. WARNING: Graphic video may be disturbing to some viewers. Cincinnati police Captain Doug Wiesman tells the Cincinnati Enquirer officers made an arrest because someone had threatened a business in a march after the vigil ended. At least five other demonstrators tried to obstruct officers and were also arrested, he says. DuBose's July 19 death came amid months of national scrutiny of police dealings with African-Americans, especially those killed by officers. Former Officer Ray Tensing has pleaded not guilty to murder and voluntary manslaughter in the shooting.